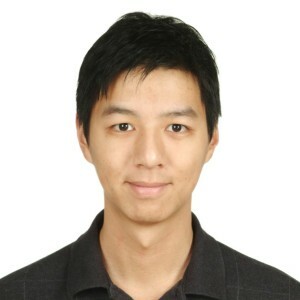 My research focuses on RF and mm-wave integrated power amplifier (PA) design. In particular, the design of PAs used in watt-level, high peak-to-average ratio applications are of interest. High output power is achieved by incorporating efficient power combining structures. Peak efficiency can be boosted by the use of an outphasing transmitter topology, where as the average efficiency degradation caused by the large back-off requirement is mitigated by power control schemes, e.g. transformer-based dynamic power control or discrete supply scaling. We aim to realize these concepts at a frequency up to the mm-wave range. Williams, D.F. ; Corson, P.; Sharma, J.; Krishnaswamy, H.; Tai, W.; George, Z.; Ricketts, D.S. ; Watson, P.M.; Dacquay, E.; Voinigescu, S.P., “Calibrations for Millimeter-Wave Silicon Transistor Characterization,” Microwave Theory and Techniques, IEEE Transactions on , vol.62, no.3, pp.658,668, Mar. 2014. Tai, W.; Ricketts, D.S., “A compact, 36 to 72 GHz 15.8 dBm power amplifier with 66.7% fractional bandwidth in 45 nm SOI CMOS,” Microw. And Opt. Tech Lett. ,vol. 56, pp.1098-2760, Nov. 2013. Williams, D.F. ; Corson, P.; Sharma, J.; Krishnaswamy, H.; Wei Tai; George, Z.; Ricketts, D.; Watson, P.; Dacquay, E.; Voinigescu, S.P., “Calibration-Kit Design for Millimeter-Wave Silicon Integrated Circuits,” Microwave Theory and Techniques, IEEE Transactions on , vol.61, no.7, pp.2685,2694, July 2013. 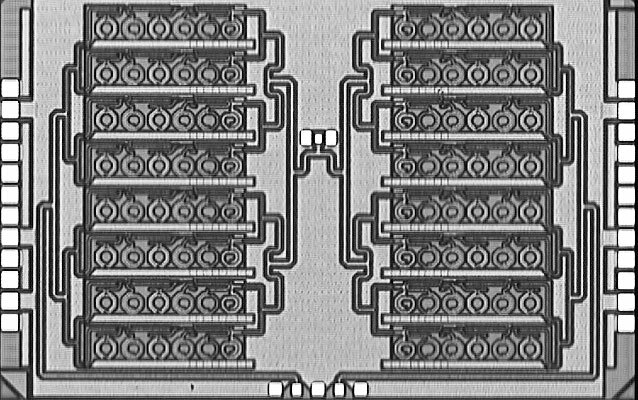 Tai, W.; Ricketts, D.S., “74 GHz, 17.2 dBm power amplifier in 45 nm SOI CMOS,” Electronics Letters ,vol.49,no.12,pp.758,759, June 2013. Junfeng Xu; Wei Tai; Ricketts, D.S., “Microwave watt-level rectifiers for power recycling applications,” Microwave Integrated Circuits Conference (EuMIC), 2013 European , vol., no., pp.516,519, 6-8 Oct. 2013. W. Tai, L. R. Carley and D. S. Ricketts, “A 0.7W Fully Integrated 42GHz Power Amplifier with 10% PAE in 130nm SiGe BiCMOS,” International Solid-State Circuits Conference (ISSCC), Feb. 2013. W. Tai, L. R. Carley and D. S. Ricketts, “A Q-band SiGe Power Amplifier with 15.5 dBm Saturated Output Power and 26% Peak PAE,” IEEE Bipolar / BiCMOS Circuits and Technology Meeting, Oct. 2011.